I am the Lead Preschool Teacher at Little iLEADers AV. All of my education and experience is in Early Childhood Education and Administration. This year will be my tenth year teaching preschool. I helped create the Preschool program in AV and the Toddler program in Castaic. I love the little kiddos and the innocence that they have. I cannot wait to meet you and grow with you all this year. I am so happy you’ve taken some time out of your day to learn more about Little iLEADers! I am the Program Director here, and I can tell you this is the best school I’ve worked for, hands down, and the philosophy is so appropriate for young children! There are numerous research studies showing how play-based learned is the way in which children are inspired to become lifelong learners. I have been working in early childhood education for 20 years, and I’ve had the pleasure of serving families as both a teacher and administrator. I have my BA in Psychology from California State University, Northridge, and I am working on my MS in Child Development, to be completed by January 2020. My favorite part of the job of Director is both mentoring staff as well as partnering with families to provide education and care specific to their child’s needs. I also really enjoy hosting special events around the school: Grandparents Day, Summer Picnics, Holiday Open House, just to name a few. I was raised mostly in Santa Clarita Valley, and being part of the small town of Castaic means a lot to my family and I. My husband, Roy, and I are high school sweethearts, and have two children, Mariah and Cruz. Aside from being passionate about the child development field, my role as a parent is my most valued and I will always put my family first. In our family free time we’re always out at the lake soaking up the sun and enjoying water sports! Please don’t hesitate to reach out if you have any questions. My email address is candice.butera@littleileaders.org. Have a fantastic day! My name is Dani Hughson, and I have been working as a preschool teacher for over ten years. I joined Little iLEADers as a founding teacher in 2017, and I love being in an atmosphere that encourages children and adults to create and explore! 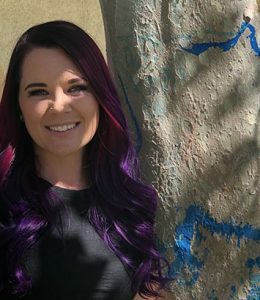 I am a fully qualified preschool teacher with 24 units in Early Childhood Education, and over a decade of experience in the field. I have an infant son who I cannot wait to bring to Little iLEADers! In my free time, I love to spend time with my husband and son, especially at Disneyland or in Hawaii! I can’t wait to meet you! I have been teaching for the past 34 year. This will be my 35th year of teaching preschool. For the past 3 years I was the Athletic Director and P.E. Teacher at a school here in the Antelope Valley. I am extremely excited to return to teaching preschool because that is where my heart is. I am a proud SCV resident, having grown up in Castaic. I joined Little iLEADers in April 2018 and I love how our children respond to the program philosophy of play-based learning. My own children have attended the program and I couldn’t be happier as a parent! I am a fully qualified teacher with 26 units in Early Childhood Education from College of the Canyons. I’ve been in the field of early childhood education for over 12 years, and consider this to be my dream job. I have a husband, Matthew, and two little ones, Mackenzie and Jace. We spend our time dirt bike riding, camping, and I love anything crafty! I am looking forward to meeting and working with future parents and children of Little iLEADers! My name is Haylee Johnson and I am beyond thrilled to be a part of Little iLEADers in the Antelope Valley! I have an Associates in Science for Early Childhood Education and a Certificate in Child/Family Education. I am currently attending California State University, Northridge, where I am working towards my Bachelor of Science degree in Liberal Studies as well as their ITEP program to obtain my Teaching Credential. I personally feel that it is never too early or too late to spark a child’s eagerness to learn. The gift I would like to give children the most is the ability to learn and explore thoughts and ideas they’ve never encountered before. Hello, I’m Jennifer! I was raised in the Ventura area and moved to Santa Clarita Valley to start my family. I began working with young children in preschool programs in 2015, specifically in infant/toddler programs, where I developed a passion for being a facilitator of exploration for our youngest learners! I have 12 units in Early Childhood and am CPR certified. I am the proud mommy of two children who’ve also attended Little iLEADers and SCVi! When I have family time we enjoy beach trips, birthday parties, and we love all the child-centered activities available to us in SCV! I was raised in the Santa Clarita Valley along with my older brother. I received my Bachelor’s Degree in Liberal Studies from California State University, Northridge. While attending College of the Canyons for my Early Childhood Education units, I found my passion for teaching preschool. Prior to joining Little iLEADers, I worked as SCVi’s After-School Program Coordinator for 4 years, working with children in grades TK through 8th. In my spare time, I enjoy going to the movies, theme parks, reading, photography, and especially spending time with my family and friends. My name is Taylor Britt and I have lived here in Santa Clarita since I was seven. My family and I moved here from the Bay Area. I went to Hart High School, where I played on the softball team and volunteered my time with the Special Olympics. I spend my weekends working with a little boy that has ASD. When I have “down time” I enjoy taking my dog Bentley for walks, reading, and spending time with my boyfriend and friends. I’ve been working with children since I was 18. I have my qualified ECE units, Psychology, CPR, first aid and CPI training. I’ve been working in a preschool setting for seven years, on top of becoming an Applied Behavioral Therapist working with children on the Spectrum. My experience working with children has ranged from infancy to eight years old. Working with children has been a blessing, with each and every child walking through the door leaving a mark on my heart. My name is Wendy Ruiz. I am honored to be a part of the Little iLEADers family! I have lived in Santa Clarita Valley since 1995 with my husband, Robert, and three boys, Ryan, Riley, and Ramsey. We are proud to say that we are one of the founding families of SCVi. My professional experience spans from working directly with children ages 12 weeks through 5 years, working as a program coordinator and curriculum specialist, to training staff and programs in the areas of open-ended curriculum, natural play spaces, and infant/toddler development, to name a few. 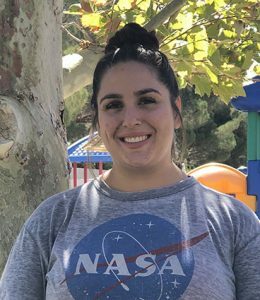 I was the Director of Infant/Toddler Programs for College of the Canyons Center for ECE, Lab School for 11 years, and am currently a full-time faculty member, specializing in Infant/Toddler Development and Supervision of Early Childhood Programs. 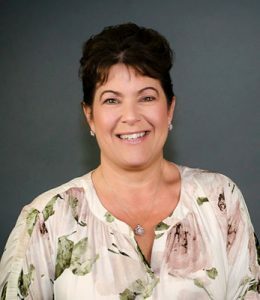 In addition, I am an Infant/Toddler Specialist for PITC (Program for Infants, Toddlers and Caregivers) and the Department of West Ed, as well as Director Mentor and Mentor Selection Committee Member for the California Mentor Teacher Program. 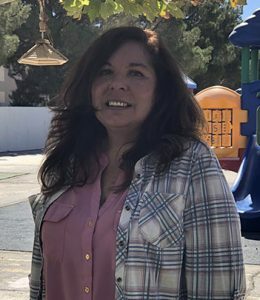 I sit as Week of the Young Play Day Chair for the board of the Southern California Valley Association for the Education of Young Children (SCVAEYC) and have organized the WYOC Play Day for over 10 years. I received my BA in Child Development from California State University, Northridge, and my MS in Child Development/Child Life from the University of La Verne. Thank you for taking a few minutes to get to know me. I look forward to getting to know you, too! Please don’t hesitate to reach out to me if you have any questions. You can reach me at wendy.ruiz@littleileaders.org.